This page shows both the large and small embroidery designs. 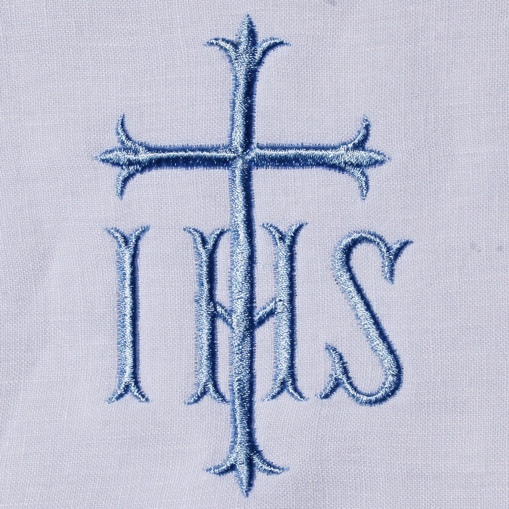 Please note that only the small cross designs are suitable for all linens. The designs are completed in WHITE thread but are shown in blue to make viewing easier.